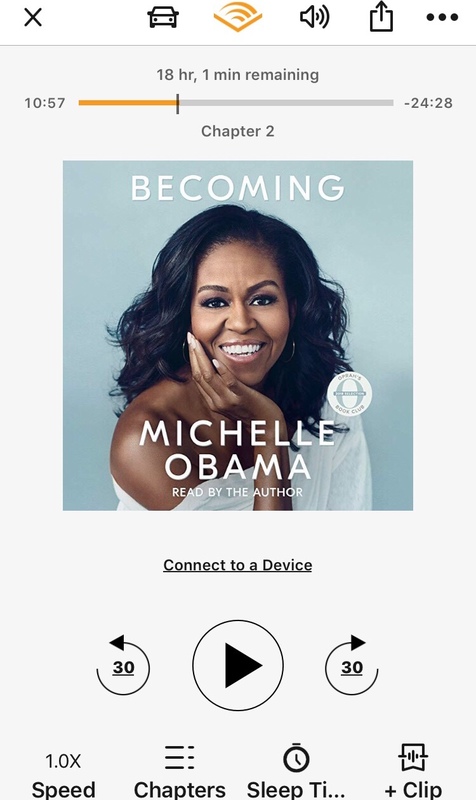 Today’s #OneGoodThing was listening with Mama to Michelle Obama read her new book. We’re only a couple of chapters into “Becoming,” but we love it and can’t wait to listen to more together! Day 333 of 365. And Day 1,064 in a row (here’s the first 366 & the following 365)! 2 years ago today: Wonder Woman Happy birthday Alyssa!! !